Winter can be a great time to visit Los Angeles, and depending on the weather, you might luck into some great beach days too. Winter daytime temperatures tend to reach the mid-60s, but only for a few minutes, rather than all day. During the summer, the beaches are cooler, and inland areas hotter, but in the winter, this is usually reversed, with colder temperatures inland, and the beach staying temperate. The winter rainy season is from November through March or April, with most rainy days in January and February. There are usually a couple heat waves during an average LA winter, bringing summer-like temperatures. The city has also had weather in the 80s and 90s in January and February, so it's pretty unpredictable. The Pacific Ocean: The water off the coast of Southern California is cool to cold all year long, maybe reaching 70 in a really hot summer. Surfers have thicker winter wetsuits and thinner summer wetsuits. Even if the temperatures are in the 80s during a given week in winter, the water will still be cold. There are no lifeguards on duty in the winter. What to pack for a winter visit to Los Angeles depends on what you plan to do while you're here. If your budget doesn't include high-end restaurants and nightclubs, you can get by just about anywhere in LA, including the theatre, in jeans and casual shirts. Layers are your best bet to go from cold mornings to sunny warm afternoons and nights that can get close to freezing. Fleece is always good. Despite the rumor that nobody walks in LA, it's a good idea to pack a comfortable pair of walking shoes for exploring the city, shopping or visiting theme parks or doing a little hiking. If you're a shopper, pack light and plan to spend some time ​shopping in LA. Outdoor Ice Skating in LA: Outdoor ice skating is all the rage in LA these days, despite the relatively warm weather. Rinks start opening in October and most stay open into January with at least one lasting through February. Find out where to go outdoor ice skating in Los Angeles. 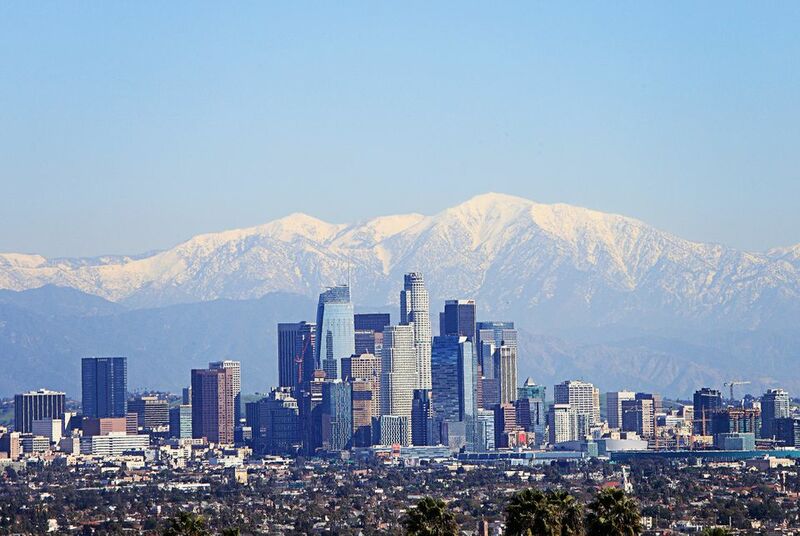 Skiing, Snowboarding and Snowshoeing Near Los Angeles: Los Angeles is the perfect destination if you want to combine fun at the beach with fun in the mountains. You can go from surfing the waves to skiing the nearby slopes in about an hour and a half. Check out all the places to go skiing, snowboarding and snowshoeing near Los Angeles. Crowds are typically gone at this time, and lines are much shorter at amusement parks. However, theme parks may have shorter hours or limited days to close some rides for maintenance. It's typically easier to get tickets to popular shows and possibly at lower prices. Hotel rates are also often half their summer price.